Unable to attend Polish Con NYC 2017? Never fear! The creators and vendors of the event got together and are creating polishes available for sale to everyone before the Con! How cool is that? The releases are done weekly on Sundays at 8am Central. 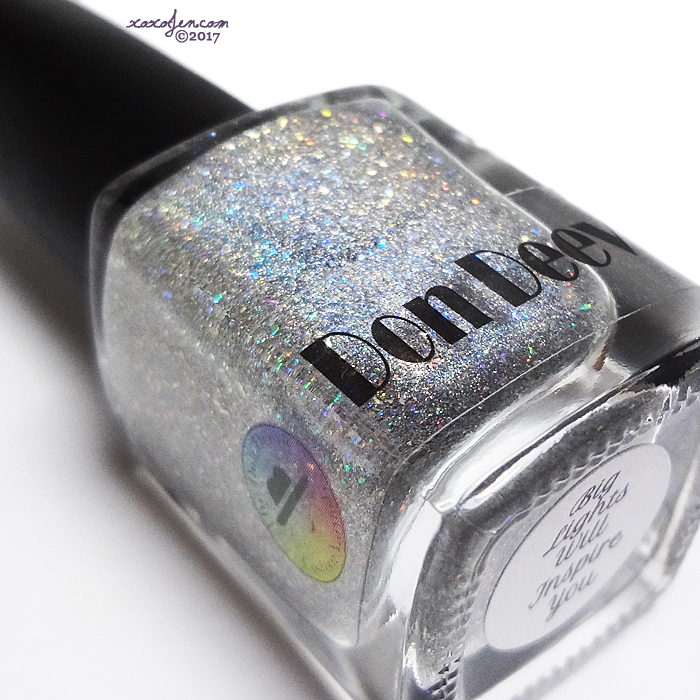 This week's launch will feature week 9 polishes from Contrary Polish and The Don Deeva. 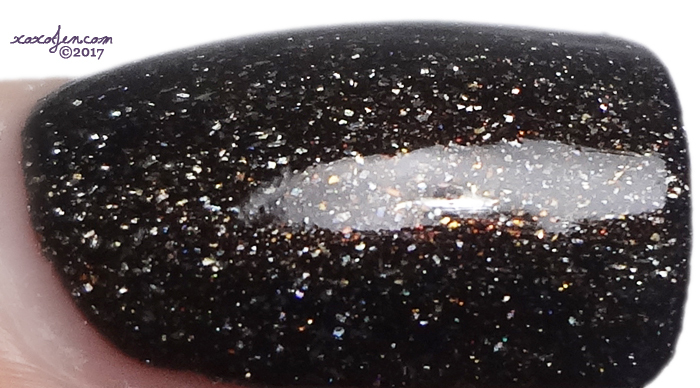 A very dark grey with holo flakes and a strong flash of copper. The base is truly a neutral grey but the copper flash can give the overall polish a brownish look. How cool is that? It certainly looked brown in some lights as I wore it. Two coats, with topcoat. The formula was smooth and easy to apply. A clear base loaded with spectraflair and a touch of holographic micro flakies. Slight texture from the micro flake. 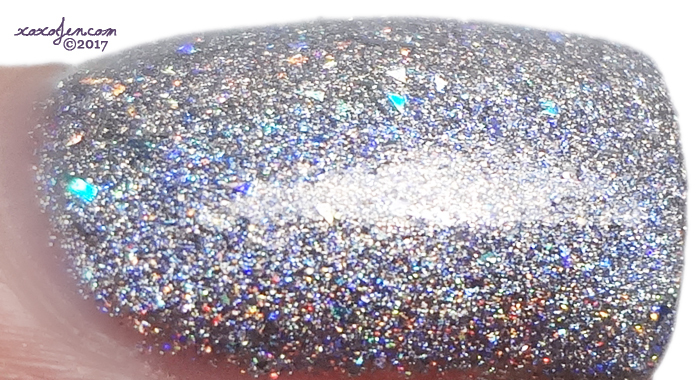 Super duper sparkly, especially in sunlight! I wore two coats and the polish was completely opaque. It feels slightly textured before topcoating, and one coat made it smooth. 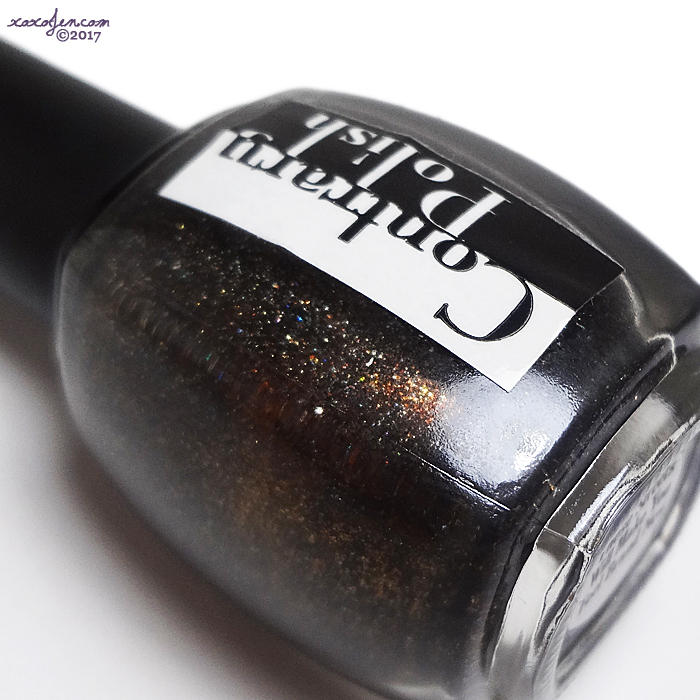 The formula was easy to apply, no digging the brush around the bottle or anything. Both colors are looking great! I really like that silver one in particular too.